Here is good news for the ‘Clean Beach’ campaigners, though strollers who cannot resist munchies may have to plan their evening walk elsewhere. In a significant move, municipal authorities will relocate all the makeshift or mobile outlets hawking snacks such as ‘sundal,’ ‘spicy milaga bajji,’ ice-cream, ‘pani poori,’ ‘ hot maize’ or cotton candy on Puducherry beach. The municipal authorities have set a one month-deadline to the hawkers to move out to a new location in the beach area. After a long process that involved legal battle, coaxing and cajoling, the authorities have succeeded in convincing the hawkers to shift their business activities to a place from where they can earn their living without sullying the beachfront. Unregulated hawking along the beach had raised the hackles of the Local Administration Department and the Tourism Department as the entire stretch was turning from one of the city’s important tourist attractions to a blot on the landscape. Food waste, paper plates, garbage, leaves and plastic cups were strewn all over the beach road. Tourists as well as the locals who come to enjoy the sea breeze in a clean environment had been raising complaints about the littering. Moreover, smoke and fumes from fast food shops also caused air pollution and spoilt the ambience. Even though the municipality has provided a large number of dustbins, the practice was for people who bought eatables to dump the waste on the waysides. Encroachments by fast food stalls and mobile vendors selling anything from compact discs to bangles and toys left little space for walking. 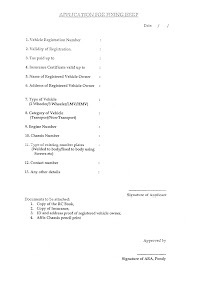 As early as 2011, the Sub-Divisional Magistrate, Puducherry, ordered the civic authorities to remove the tetra cycles and cart vendors from the beach and also directed the police to conduct an eviction drive. 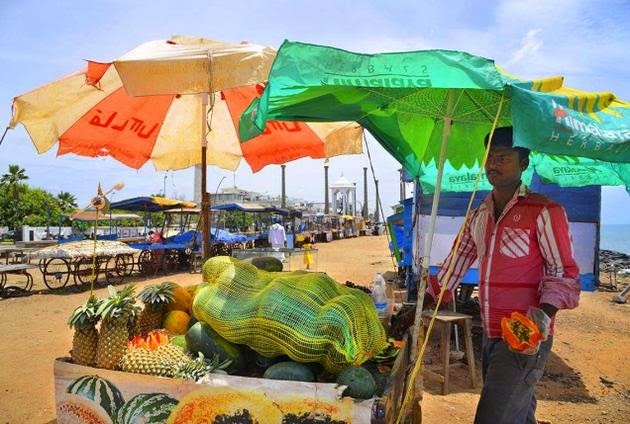 However, in an appeal to the Madras High Court for direction to authorities to evolve a fair mechanism for relocation, the Puducherry Kadarkarai Siru Viyaparigal Nala Sangam (beach small traders’ welfare association) said that livelihood of the vendors would be affected if they would be shifted from there. They said they were doing the business for over three decades and a majority of their customers were from the middle and small income group who wanted food at affordable rates. 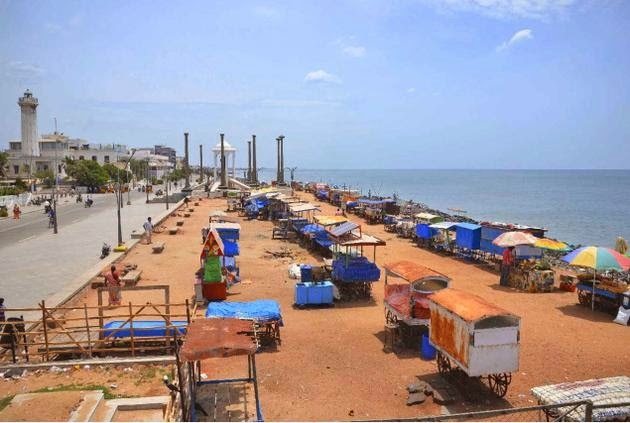 The Madras High Court directed the Local Administration Department to consider the plea , following which the municipality held meeting last June for rehabilitation of the beach vendors. However, the Tourism Department, which has been constructing 54 shops near Gandhi Thidal, has earmarked the space for handicraft shops with a view to promoting heritage tourism and is not inclined to accommodate food hawkers.